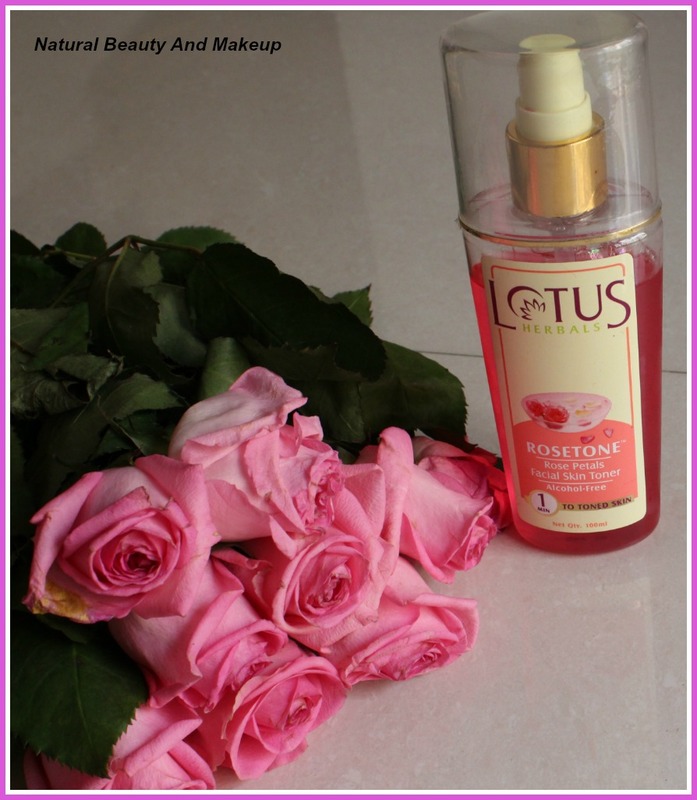 Lotus Herbals Rosetone is an alcohol-free organic Rose Petals Facial Skin Toner. It completes the perfect cleansing routine. Target skin type: All skin. Price: INR 245 for 100 ml. Claims: Rose water & Tulsi tones up the skin while Aloe Vera nourishes, revitalises, hydrates and maintains the natural pH balance of the skin, leaving it fresh & clean. After cleansing, wipe face & neck with cotton moistened with ROSETONE. It can be used as a cleanser to remove superficial impurities. For best results, follow with Lotus Herbals ALPHAMOIST Alpha Hydroxy Skin Renewal Oil free moisturiser. Water, Aloe Barbadensis (Aloe Vera) Gel, Rosa centifolia (Rose Petals) Extract, Ocimum Sanctum (Tulsi leaves) Extract, Vetiveria Zizanloides (Vetiver) Extract, PEG-10 Hydrogenated Castor oil, Polysorbate-20, Methyl Paraben, Propyl Paraben, Fragrance. The packaging of this toner is in the form of spray mechanism. It comes in a plastic transparent bottle with a spray nozzle which makes the application much easy. This formula of this toner is water based and is light weight. The colour of this toner is pinkish red. It has a strong rose fragrance which can bother sensitive noses easily. But the smell goes away after a while, so not to worry. Lotus Herbals is one of those companies which have emerged as India’s leading natural cosmetic company. I have used a lot of skin care products from this brand and they didn’t disappoint me also. Actually, my Jovees toner got over and I was looking for a rose toner a few months ago. I spotted this at the supermarket and looking at its natural ingredients and alcohol-free tag I decided to buy this. It is composed of all nourishing and soothing ingredients like Rose petals, Tulsi and Aloe Vera. But what I didn’t notice while purchasing this item was Parabens! Yes, it has two types of parabens. Ugh. Toner- As a toner, it hydrates the skin, effectively tones and moisturises well. It is light weight so gets easily absorbed by the skin. Since this is alcohol-free it does not over dry my skin, that’s a plus point. Cleanser- More often I use it as a cleanser to remove the excess oils, dirt and grimes from the skin and it does this job well. It effectively removes any makeup residue or dust. Astringent/Antiseptic- Since it has Tulsi and Aloe Vera, so it is sort of antiseptic too. In this hot & humid weather whenever I need to go outside, the moment I enter home I spray this toner on my face and neck. And this immediately soothes my irritated skin. But when applied on pimples, it neither reduced the size nor increased! Though, the toner does not claim this fact so I can avoid this con. So far, I do not have any issues with this toner except chemicals part. I cannot comment on balancing natural pH claim but yes it does make my skin fresh and clean. Moreover, if accidentally this toner goes into my eyes, it doesn’t burn or irritate the eyes (Thank God). Removes dust, make-up, impurities if any. Best for normal to dry skin & combination skin people. I have been using this toner since winter season and I feel this is working efficiently for my combination skin which gets dry during winter and oily in summer. But every time I use this toner, I make sure to follow it with moisturizer (Light/ heavy depends on weather). 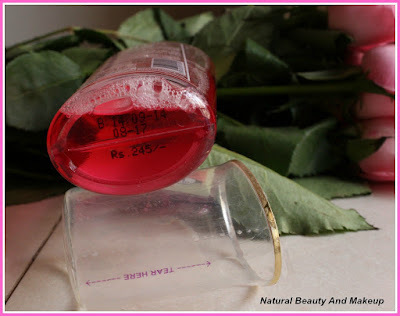 So,girl’s if you are on a budget and looking for a decent Rose toner, then you can definitely give it a shot. 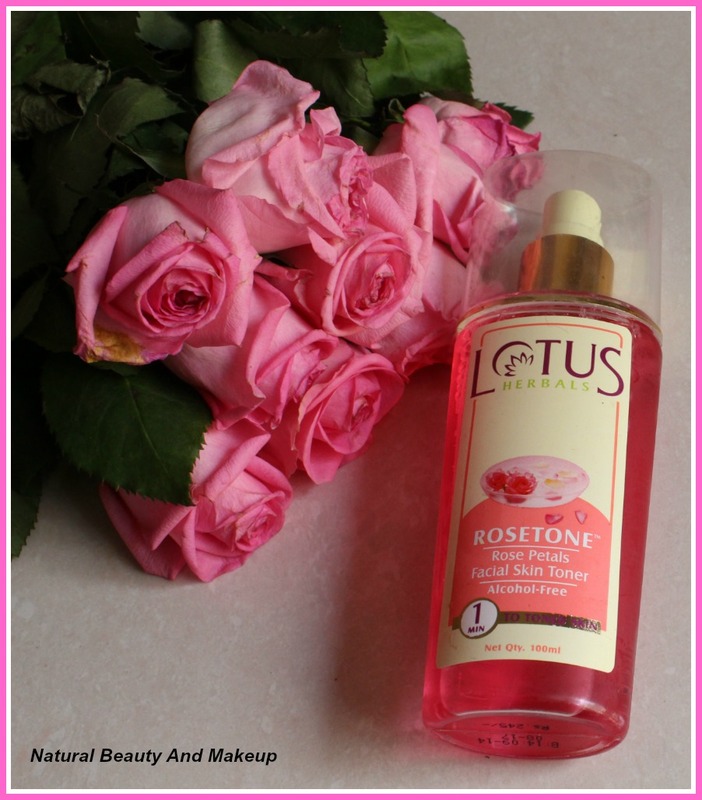 Have You Tried This Lotus Herbals RoseTone Skin Toner Yet? If Yes, Then Do Share With Me In The Comment Section Below. 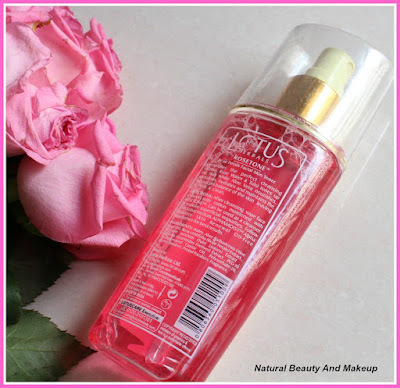 Great detailed review Ana, I am yet to try Lotus, am eyeing thr cleansing milk from lotus. Oh really? Currently I am using their turmeric cleansing milk, loving it :) Thank you Sonali. Yes am eyeing it after reading in your haul/ review, I guess review! Let's see when I empty some good amount of products I will buy it.. Seems pretty decent for the price. But I feel hesitant because it has parabens. However, I might just try it to see if it helps me. Thanks for the review! This toner sounds very refreshing to use. Wish it worked well on oily skin. Right Sangeeta, excessive oily skin beauties won't find it great :( But yes, it gives a refreshing feeling to the skin. Wow! Multipurpose products are my favorites! By the name it sounds very refreshing. Definitely will recommend to my mum! My fav too :) Thank you so much Rams. Anamika I used this toner last year in summer but the paraben in its ingredient list stopped me from buying it again . Otherwise a very good product. Hmm Yamini, even I am scared of these parabens :( Looking for an organic toner. Thank you. I love rose water toners.But I might not try this as I have very oily skin. Nicely reviewed Anamika. Yeah Rakhshanda, give this a try once at least :) Thank you. Lotus Herbals has some great products and the rose toner seems to be amazing. Thank you Hanna :) Well you can look for this online and give this a try then :) You would like it surely! I love roses in my toner but not parabens ;) Nice review dear! Oh! Then it's better to avoid this one..
My recent post: The Body Shop Earth Day Sale Haul !! I love using rose water specially in summer...never tried this one so definitely going in my wishlist ..